I can't help wondering whether this duology would have been better off as one long, two-part novel... but then I'm not sure all the story tangents going on in the second book, Truth or Dare, would have been handled any better. Both books were great, in their own, JAK-style way, but that second book just kind of seemed a bit excessive. While Light and Shadow gave us a straight-forward, fast-paced rundown of events and mystery and romance, I feel like Truth or Dare was the "I've got more ideas for these characters and am trying to cram everything into this last book" type of mish-mash. While all of the story tangents were significant in their own way, I couldn't help but feel like I was reading a series of short stories, unconnected with the main story conflict, but that all took place around the same time, so let's just throw it all together into one big book! While I always have a hard time recalling the characters and the events from most JAK books, there's always enjoyment had, and I always know I walk away from them feeling satisfied, and well entertained. 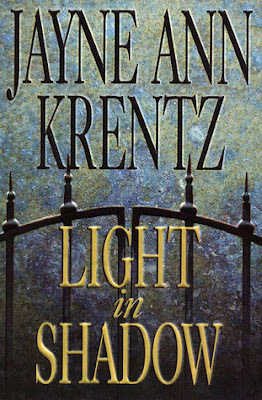 This is why I keep going back to Jayne Ann Krentz, as well as her other two pseudonyms, Amanda Quick and Jayne Castle. As per usual, the characters in the Whispering Springs duo were great characters, with their own uniqueness, and a charming quality about them that just made them easy to relate with, and very easy to love. The addition of some personality flaws doesn't hurt either, and we have all of that. The conflict and mystery in both were interesting enough. All-in-all, this was a nice reading experience--something to occupy yourself with on a rainy afternoon. I just really wish that second book hadn't been so... well, chaotic. Zoe Luce is a successful interior designer in the Arizona town of Whispering Springs who's developed an unusual career specialty--helping recently divorced clients redesign their homes, to help them forget the past and start anew. But Zoe knows that some things can't be covered up with a coat of paint. And when she senses that one of her clients may be hiding a dark secret, she enlists P.I. Ethan Truax to find the truth. Working together, they solve the mystery . . . and barely escape with their lives. But Ethan's exquisite detection skills are starting to backfire on Zoe: she never wanted to let him find out about her former life; she never wanted to reveal her powerful, inexplicable gift for sensing the history hidden within a house's walls; she never wanted him to know that "Zoe Luce" doesn't really exist. She never wanted to fall in love with him. Now, no matter how much she resists, Ethan may be her only hope--because the people she's been running from have found her. And just when Zoe dares to dream of a normal life and a future with the man she loves, her own past starts to shadow her every step--and threatens to take her back into a nightmare. Upscale interior designer Zoe Luce has found peace and contentment in Whispering Springs, Arizona. She has a thriving business, and she's settling into newlywed life with private investigator Ethan Truax. The threat that brought Zoe and Ethan together is finally over, ancient history, or so Zoe believes. Very few people know of her uncanny ability to sense the dark secrets hidden within the walls of a house, and she wants to keep it that way, even from Ethan. But someone is stalking Zoe--someone who knows all about her, and who shadows her every move. 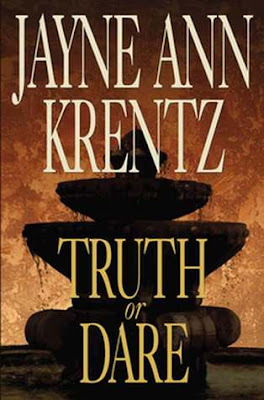 Is it the same person who is threatening her closest friend, Arcadia Ames, the only other person in Whispering Springs who knows the truth about Zoe? Or are Zoe and Arcadia getting tangled in a web spun by someone more dangerous than they could ever have imagined? 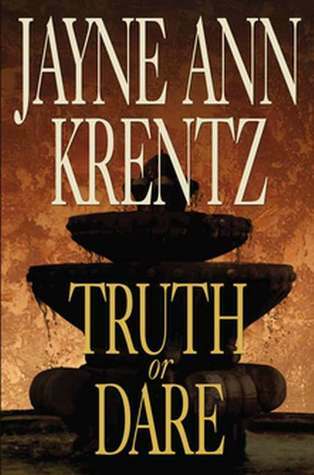 As a private investigator, Ethan is paid to find the truth, yet he has secrets of his own that are better left buried. He can't let the threats to Zoe go unchallenged, although he fears that the truth may be a bigger burden than their still-fragile relationship can handle. And Ethan isn't alone with his fears: instead of setting her free, Zoe dreads that the truth will only imprison her once more within the darkest nightmares, this time with no escapes in sight.